Not everyone who has a great education is a success and not everyone who doesn’t complete their education is a failure. Many great entrepreneurs have been known to be dropouts, so it comes as no surprise that Eric White, millionaire and owner of Zydeco Construction was a middle school dropout. His growing years were quite tough and at the age of 15, he was even homeless for about eight months. When he dropped out of school in the ninth grade, his reading skills were also extremely poor. Although Eric lacked a formal education he always felt that he had a penchant for construction. He was convinced that he would be able to make some headway in this field if he worked hard enough at it. So he took up a job with a local construction company to manage his expenditure. He later moved to another company that paid him $12 an hour. That job proved to be a turning point in his life as the man he worked for took him under his wing and taught him everything he needed to know about the company. Within a few months, he had a team working under him. White did not stop there but continued to climb up the career ladder with other construction companies. He later started his own company called Cool Pools which he eventually sold for over a million dollars. Zydeco Construction, a company which builds beach like swimming pools were his next business venture. 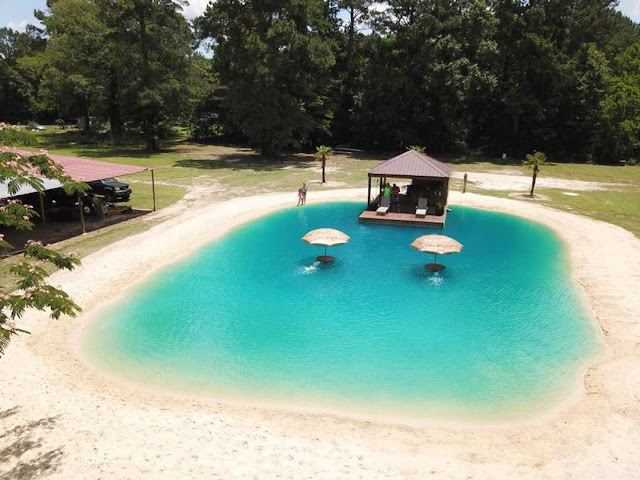 The USP of this business is that the pond that he builds is customized to suit the customer’s needs. The crystal blue ponds are surrounded by sand and outfitted with various accessories like umbrellas, outdoor kitchens, and gazebos. The idea to build these customized ponds was something that White has envisioned for a long time. A lot of time was spent on researching and expanding on this unique idea. The ponds have definitely achieved a high level of success with more people wanting to own these dazzling beauties. However, these ponds don’t come cheap. With a price tag of $20,000 for an average pond, one will probably think twice before adding this luxury to the backyard. White, however, calls these ponds ‘a true labor of love’ and says that everyone that is built is different from the other. Each customer will get his own unique design. Besides these ponds, White’s company also has outdoor kitchens and in-ground trampolines. His company also builds levees for homes that have to deal with flooded backyards.